If you're considering a new Volkswagen for your next car, you have a lot of choices before you. Whether you're interested in the Golf in one of its many forms, such as the GTI or SportWagen, a sedan like the Jetta, Passat or CC, or you want to stand out from the crowd in a Beetle, there's a Volkswagen model available here in our showroom that will meet your specific needs. But how do you know which one is right for you? 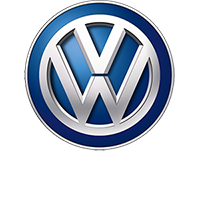 Listed on this page are links to more information regarding each model that we offer here at Napleton's Volkswagen of Orlando. Each page contains essential vehicle information for your consideration. That way, you can see how that model can best suit your needs, whether your commute takes you to Orlando, Altamonte Springs, Oviedo, Winter Park, or Union Park. For example, if you're driving on a strict budget, you can break down the price of each vehicle and see fuel economy specs. That way, you can get a good idea of the cost of ownership beyond your car payment. If you want to picture yourself behind the wheel before taking a test drive, a plethora of photos are available of both the interior and exterior, so you can also picture your next Volkswagen in your driveway. If there's a specific feature that you're after, you can view how each model is equipped, with detailed specs as well. Finally, even if there's a specific color that you're after, you can view which ones are available and see how they look. Interested in learning more? Click on the model that interests you. And when you're ready to test drive your next Volkswagen, be sure to visit us. Napleton's Volkswagen of Orlando is located at 12700 E Colonial Dr, and our staff is standing by to answer any questions that you may have and get you set up behind the wheel.